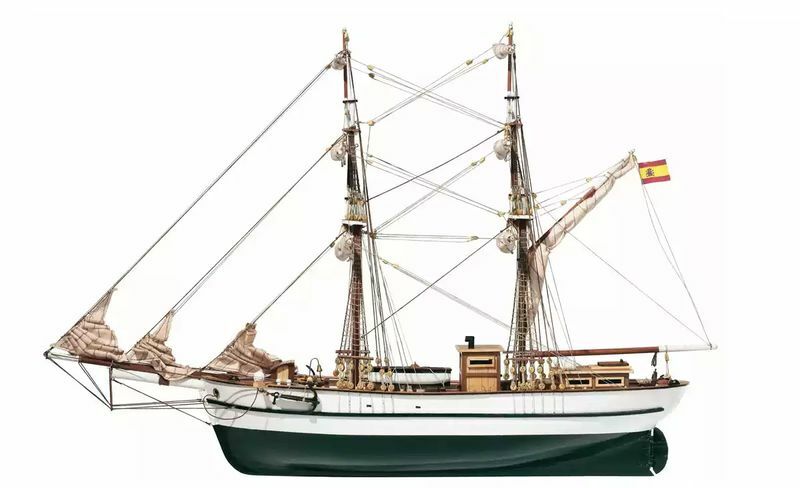 The Aurora is a good example of a brig which was widely used for travel to the Americas. The 19th and early 20th centuries saw the greatest flow of navel transport between Spain and her overseas colonies, thanks to the commercial agreements that had been established with them. The Aurora is a good example of a brig. 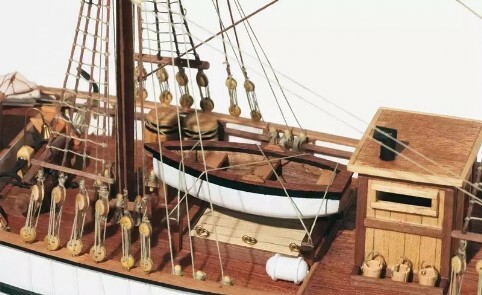 This kind of vessel was widely used for travel to the Americas as her rigging provided the best results in conditions of constant wind as is typical for Atlantic Ocean. A brig was a sailing vessel with two square-rigged masts. During the Age of Sail, brigs were seen as fast and maneuverable and were used as both naval warships and merchant vessels. They were especially popular in the 18th and early 19th centuries. 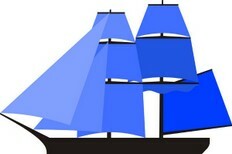 In sailing, a full-rigged brig is a vessel with two square rigged masts (fore and main). The main mast of a brig is the aft one. Brigs were used as small warships carrying about 10 to 18 guns. Due to their speed and maneuverability they were popular among pirates. 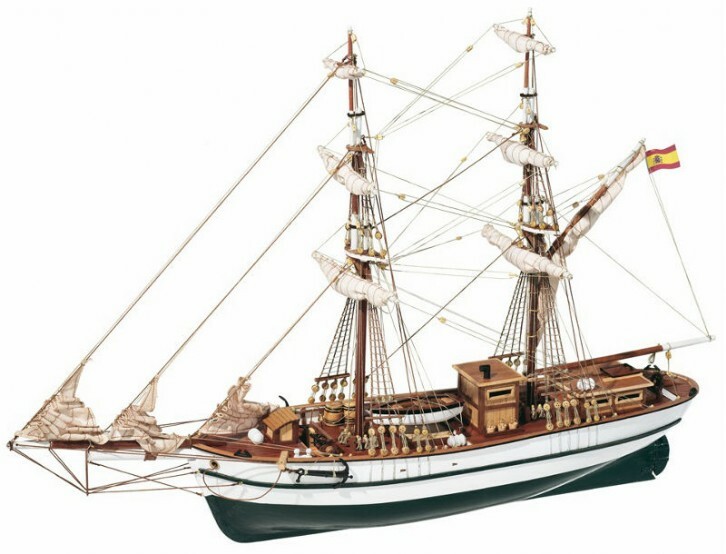 In the early 19th century the brig was a standard cargo ship. It was seen as "fast and well sailing", but required a large crew to handle its rigging. 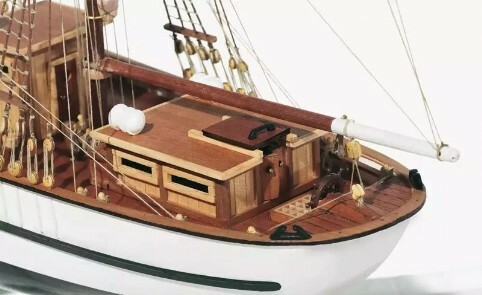 Ship model Aurora is favorite wooden scale kit from Occre manufacturer. 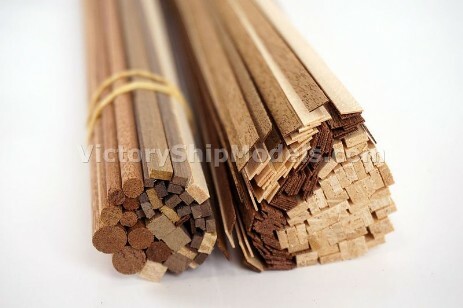 It is popular for its good quality and the customers often buy it as a valuable and nice gift. 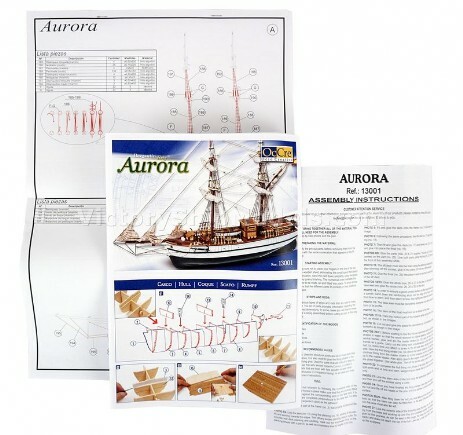 Scale model kit Aurora from Occre contains necessary building material and parts. 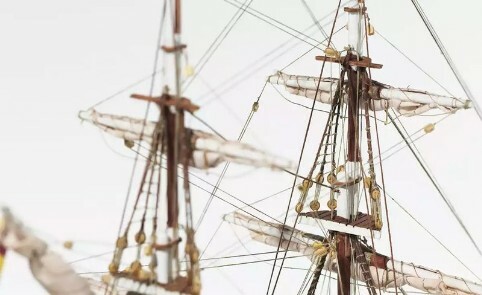 That is why the modeler can focused only on building of this nice wooden tall ship model. 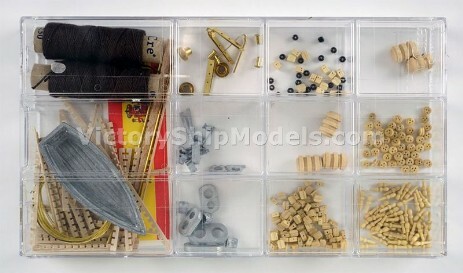 Victoryshipmodels.com selects and offer only the best ship model kits. Ship model Aurora is one of them. For travel to the America brigs sailed along the Canary Islands and Cape Verde Islands used constant winds and sea currents. For travel back they used similarly favorable conditions along coast of North America or Bermuda. Historical map Erdkarte in Mercators Projection from 1867 shows overall conditions in Atlantic Ocean. Note: Double page hand colored in outline map. Showing Ocean Currents and Wind, centered on the Pacific basin, the map covers the entire world. Includes legend. Relief shown by hachures. Prime meridians are Ferro and Paris. 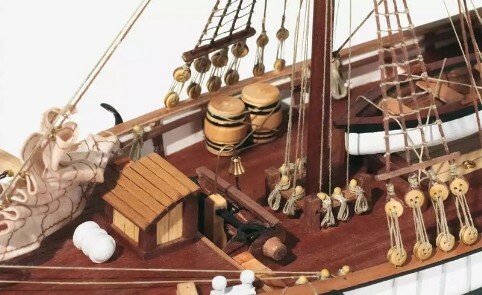 Brig was a popular ship, often playing an important role in many novels as well. As an example, one can recall the brig Duncan in Jules Verne´s novel In Search of the Castaways (Captain Grant's Children). A printout size A4 of this sailboat illustration and a map of the ocean currens are part of this special Expanded Edition.